Christmas is coming. I know, I know, not even Thanksgiving yet, and not everyone is like me, listening to Christmas Pandora on repeat. But, but but! You don't have to be baking cookies, or buying presents, or decorating trees yet to prepare. And next week, it IS Thanksgiving, and we'll be putting up our tree! We have a fake tree, here. It started because my kids used to be little, and I didn't want them eating it or poking themselves with it, or getting sticky or any of the other issues with a real tree. Now we keep it around because it's easy. I don't have the wherewithal to take care of a living thing, even for a month right now. And environmentally, I feel like my fake tree that's lasted several years is doing a great job being its fake self. 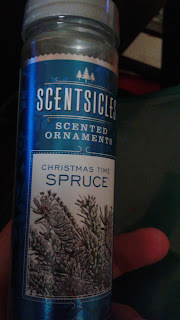 But that doesn't mean I don't want my house to smell like I have a real Christmas tree in here. For me, that means spruce. I know others like fir trees, pine trees and the like, and they're all fantastic, but for me, it's spruce. And what my house has lacked in these years is the scent of Christmas. Last year I bought a candle. And that worked for a spell, when I remembered to light it. Then I had to remember to put it out again. 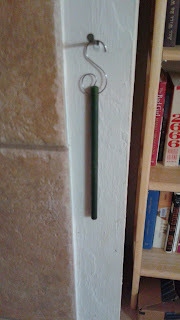 But this year, I managed to grab some Scentsicles from Tree Classics. My tree isn't up yet, but I had to try them out. They come six to a canister, and opening it up felt just like Christmas at home (even though I'm in Florida now). I took just one out to test it for the past few days. 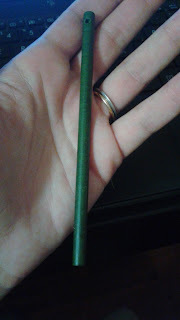 Just about the size of my hand, they come with hangers so you can hide them in your tree, but if you lose yours (like I will), you can use regular bulb hangers, too. So, I just hung this little guy up on my wall, where my kids' stockings usually go. I wanted to see if I could smell it, just all by itself. It's been three days now, and you know what, sitting here on my couch, 10 feet away, I can smell it, and it is giving me the perfect whiff of Christmas. So when I put six of them around my tree, I'm going to breathe in Christmas all season long, I just know it. And I'm lucky enough to be able to give some away to readers, too. 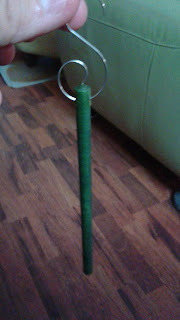 Want some of these amazing little smelly sticks? Of course you do. It is Tree Classics' 40th anniversary, so they're giving some of their products away in celebration. If you'd like to sign up for some of these amazing things, go ahead and put your name in. I'll do the drawing the weekend after Thanksgiving. Oh, we are buying our fake tree this week and these sound like a great idea. 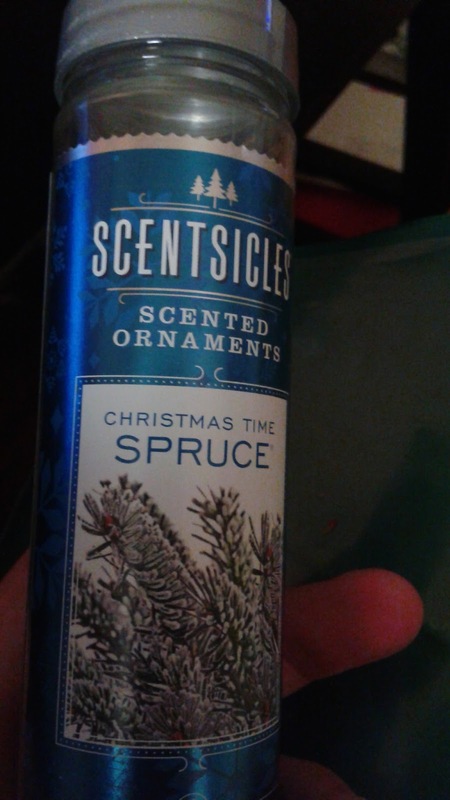 The smell of Christmas without the never ending slew of pine needles? This sounds like an A+ idea. I am interested. These look neat! I am interested. I bought these once from Yankee Candle and I really liked them!